An emoticon detail may ornament the laces, but you'll be feeling much more than 'meh' in this menswear-inspired leather sneaker set on a chunky platform sole. 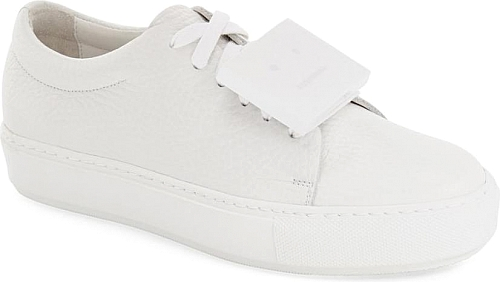 Pair with skinnies or cropped styles to show off ACNE's playful take on the sport-chic footwear trend. Pebbled leather sneaker with removable emoticon. Pebbled leather upper. 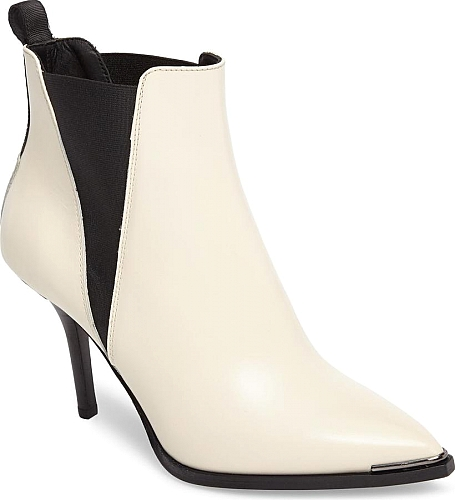 A silvery rand at the pointy toe adds a touch of trend-forward Western style to a Chelsea-inspired bootie with a sleek, city-slicker silhouette. Chelsea boots crafted in grain leather. 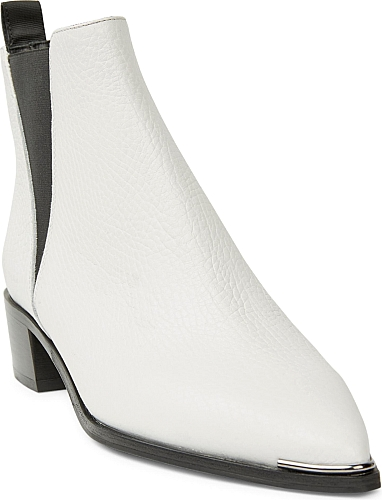 Stacked heel, 1.